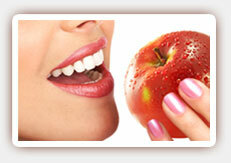 A healthy diet is essential for maintaining good overall health, including good dental health. Although your diet cannot prevent all dental diseases, it can strengthen your teeth and gums and reduce your risk of certain conditions. 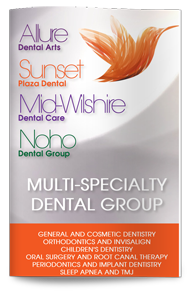 Here’s what West Hollywood dentist, Dr. Poneh Ghasri, wants you to know about eating right for healthier teeth. Because teeth are a type of bone, it is essential to enjoy a variety of foods and drinks that are good sources of calcium. Dairy products, enriched juices and leafy green vegetables all tend to be great ways to get more calcium in your diet. Vitamin D helps your body absorb calcium more effectively. Vitamin D can be found in fortified dairy products and juices, and your body also makes vitamin D when exposed to the sun. Avoid excessive sun exposure: To make enough vitamin D for good bone health, you only need 15 minutes of direct sun a day. Vitamin C has long been considered one of the most important nutrients. It boosts the immune system and strengthens cardiovascular health. It also improves gum health. In fact, vitamin C deficiency can lead to sore or bleeding gums. Get more vitamin C in your diet with citrus fruits or juices, broccoli or Brussels sprouts. As important as it is to eat healthy foods, it is equally important to avoid foods that could damage your dental health. Sugar, simple carbohydrates and sticky foods are all likely to contribute to plaque formation, which increases your risk of tooth decay and gum disease. To learn more about how your diet affects your dental health, contact us to schedule your next dental exam, x-rays.